They have difficulties in taking an “exercise” they learned and use it in real-life playing. Chances are, if you have one of these problems, you also have the other one, as their origin is the same: lack of mastery of rhythm and “accents”. 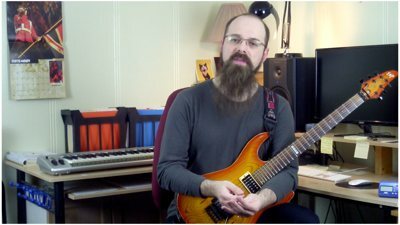 “What are you saying, Tommaso”, you may reply, “my rhythm and my timing are perfect!” Well, this is what EVERYBODY thinks, but the reality is that rhythm is one of the “blind areas” of guitar practice: nobody notices that they need practice there because it’s difficult to have any feedback. You will be able to "adapt" in real time any exercise so it becomes easier to play on the song you are wiring on at the moment. But how can you master your rhythm skills? Well, here I will share with you one of my "secret exercise". It is deceptively simple, and yet incredibly effective. If you practice it for even few days you will see a difference in what you can do on your guitar!